Who is at Fault When a Pedestrian is hit by a Car? Pedestrians have a duty of ordinary care when crossing the street or encountering motor vehicle traffic on the public roadways. Generally, both drivers and pedestrians must use reasonable care to avoid accidents and pedestrian injuries. Drivers are typically entitled to assume that the pedestrians that they encounter on the street will obey all traffic laws and will exercise their duty of ordinary care, including the duty to look carefully before crossing the street. 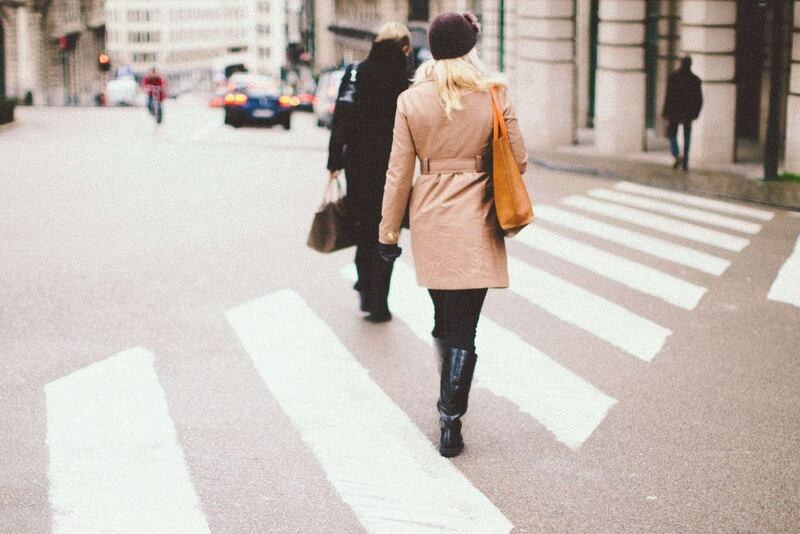 Courts have found that hearing-impaired pedestrians should use greater care than the ordinary pedestrian in crossing the street to compensate for their inability to hear oncoming traffic. This enhanced duty to look requires the hearing-impaired pedestrian to look constantly to ensure his own safety as he crosses the street. If the pedestrian meets this enhanced standard of care and is nevertheless struck by traffic, he may not be found to have been negligent. In one case, a hearing-impaired pedestrian was found to have exercised the required level of care when she observed the defendant’s car parked on the curb with no one inside before walking past the car and then starting to cross the street. Despite the pedestrian’s careful observations, she was hit by the vehicle when the defendant got into his car and backed over the pedestrian. Because she exercised greater care by observing the empty car and walking down the street, the hearing-impaired pedestrian was found not to be negligent. Driver’s Duty of Care to Pedestrians Who are Clearly BlindDrivers also owe an enhanced duty of care to visually impaired pedestrians if it is clear to the driver that the pedestrian is physically impaired. Vehicle Code 21963 provides that pedestrian who is carrying a white cane or walking with a guide dog have the right-of-way when crossing the street. Drivers who encounter such pedestrians and fail to yield or to take reasonably necessary precautions to avoid injuring the pedestrian will be guilty of a misdemeanor criminal offense.Sacramento Pedestrian Injury LawyerI’m Ed Smith, a pedestrian injury lawyer in Sacramento with nearly 40 years of experience successfully representing clients who have been involved in accidents. If you have been in an accident involving a motor vehicle and a pedestrian, it is important that you seek experienced legal counsel right away. Call me today at 916.921.6400 or 800.404.5400. If you prefer email, please fill out our contact form.